Recycling: One Bin (65 Gallon is Standard Size). Click here for acceptable material. You can now purchase special stickers to place on bags above the limit for pickup. You can purchase these stickers at the Ace Hardware stores on Mission/83rd and Santa Fe (west of Antioch) for $12.50, for a sheet of 10 stickers ($1.25ea). In addition to this monthly service there is one (1) annual Bulky Item Pickup day currently offered. The annual service is sponsored by the City of Overland Park in ODD YEARS and Nall Hills Homes Association in EVEN YEARS. 2018 Bulky Item Pick up (NHHA Sponsored)was June 30, 2018. 2019 Bulky Item Pick up (Sponsored by City of Overland Park) is typically in the fall but exact date for 2019 is TBD. As a reminder, it is against the City of Overland Park’s Municipal code to set out any waste materials on your curb that are not stored in an authorized trash container, earlier than 24 hours prior to your scheduled pickup day. Also note, it is illegal to put any discarded items (furniture, appliances, mattresses, TV’s, etc) out on the curb at any time, unless it is part of a scheduled bulky item pickup with our trash service or as part of a scheduled neighborhood or city wide cleanup day. Additional Needs: If you need Republic to collect more than the limits stated above, you must contact Republic directly. 1) All trash (bags, cans, bins, bundles) may not be put out at the curb more than 24 hours prior to your collection day. 2) Per city ordinance, stored trash cans cannot be visible from the street or your neighbors “side view.” An enclosed structure is required if stored on the side of the house. Place carts at least 3 feet apart from one another or on opposite side of driveway and close to the curb. Do not overload the cart. If the lid is not closed garbage will be subject to wind and nuisance animals. Please do not lean anything against cart. Please do no paint names or addresses on your cart. Each cart is the property of Republic Services and has been embossed with a serial number. 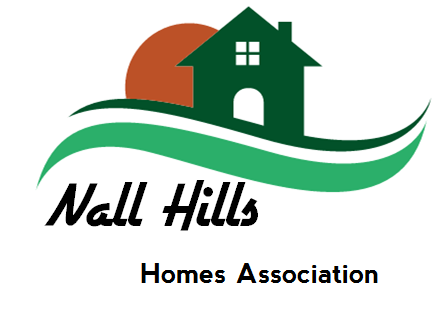 Moving out of Nall Hills? If you ever move from your Nall Hills Home, you are required to leave the Republic Trash Bins at the Nall Hills residence. These bins are the property of Republic. If the trash bins are not left behind, you may be charged for the current fair market value of the replacement bins for the new resident.